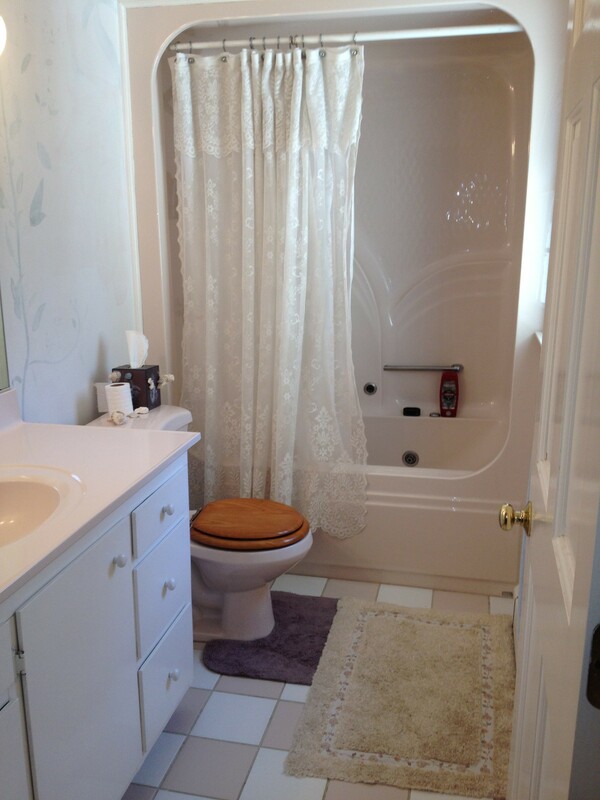 The previous owners of our home must have had a thing for the color peach because our guest bathroom is doused in it. I mean, it’s everywhere. The floor, the vanity top, the toilet and the WHOLE shower are all, you guessed it, peach. I have convinced myself that there are worse colors they could have chosen. Peach, at least, is somewhat neutral. Because replacing the floor, toilet, shower etc. is just not in the cards, I had to turn to paint to update this bathroom (read: take the focus off the peach). I primed the walls and then painted them in mocha which is a warm color that plays with, and tones down, the peach. First I removed, all of the hardware, knobs and the center cabinet door. Then I had to prepare the surface to be painted. After cleaning and drying the outside and inside of the vanity, I used a sanding sponge to rough up all surfaces. 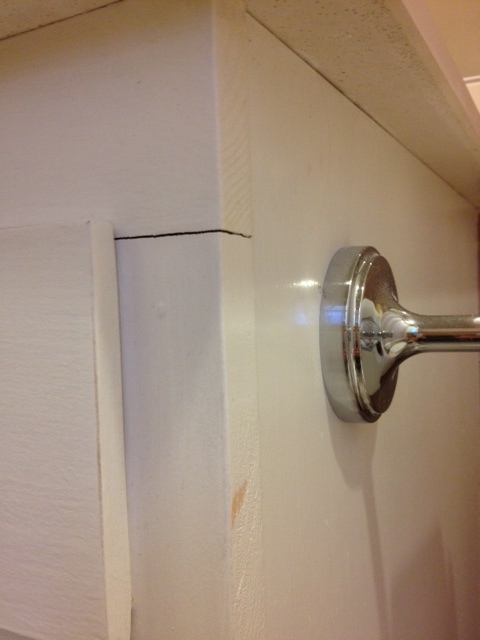 I used some white caulk to fill in cracks that have appeared with the vanity settling over time. I’m waiting for the caulk to dry so I can sand off the residue and then get to painting. 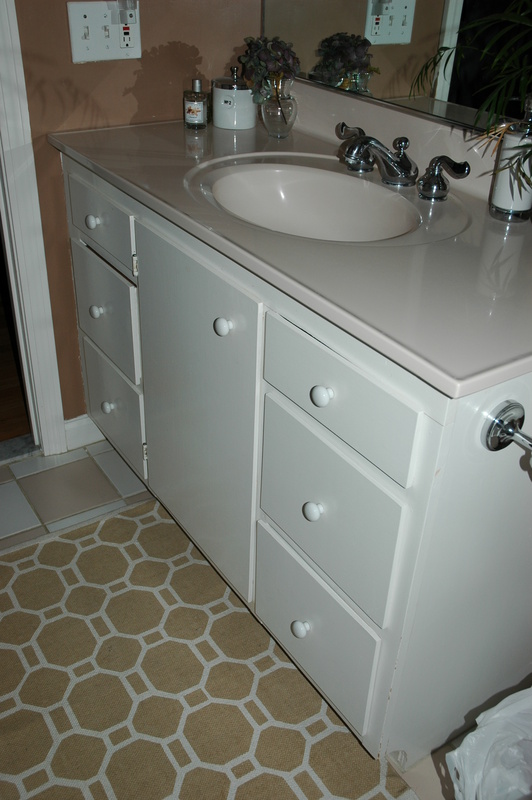 Click here to see how I transformed and updated the vanity.